Just in case you are interested, I weighted my door so that my door would sit perfectly balanced when the supports were totally level. I figured this was the half way point of the swing and the weight would help me open and close the door. I have no regrets as it works great for me. One thing to consider is any added weight on either side like endcaps on the tubes or a handle on the door. Thanks for the advice. Got it pretty well balanced right now, one hand operation. Got an early start today. 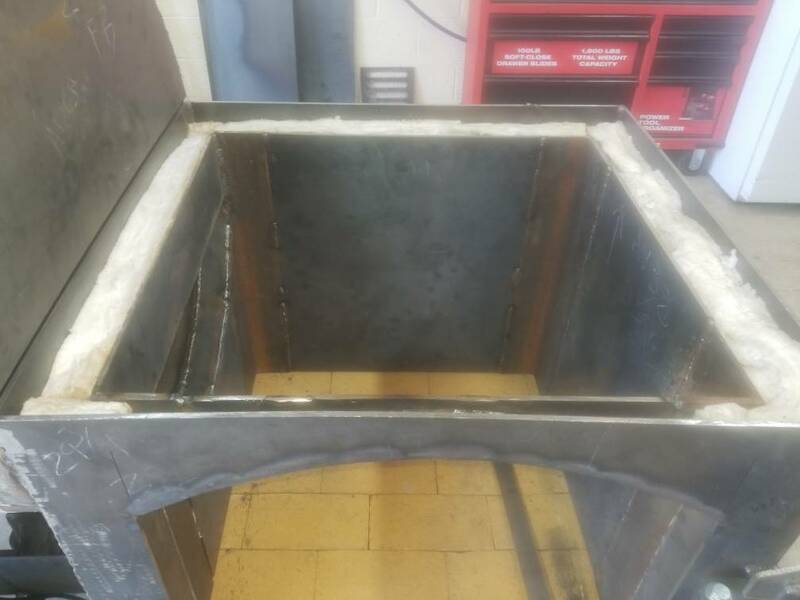 Gonna finish the liner in the firebox this morning. Getting close to sand and finish, yuck! Might just pay to have it blasted. Media blasting is cheap...and much better job that a flap disk. 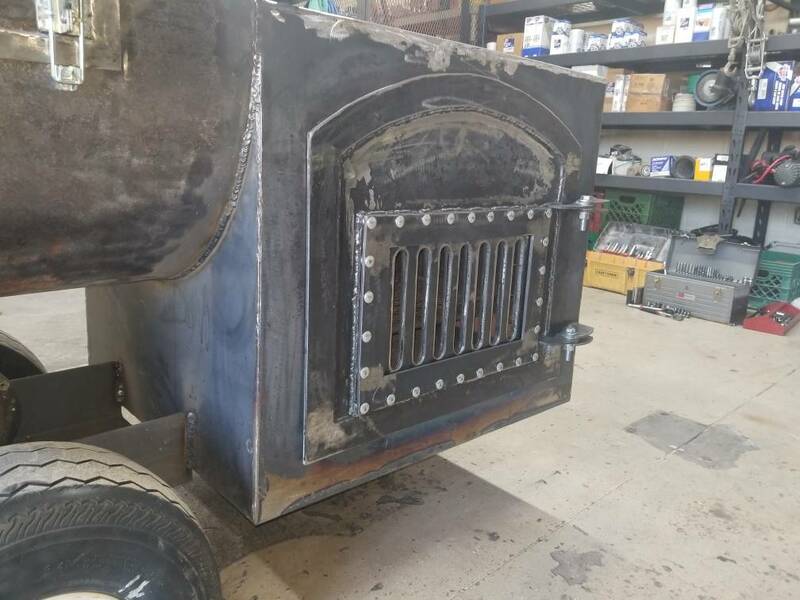 Gonna blast it.....firebox lined and insulated. Getting ready to put the top on. Beer got in the way....my drinking problem is I'm out of beer. Oh yeah grates are done 1" angle. Should I brace the center. 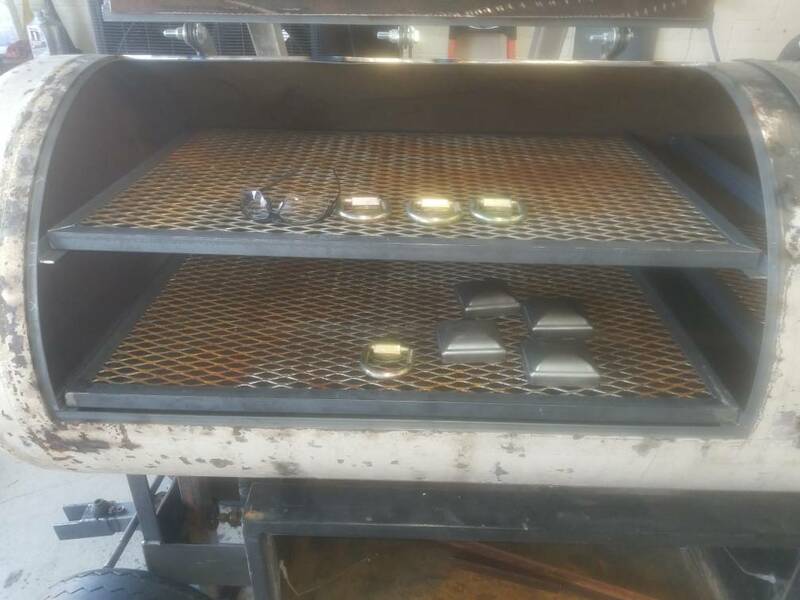 38" x 26" on the large grate????? I would put a brace on it. The weight adds up pretty quick when you load them down. I haven't had one break but I've had them sag a little while I was cooking. Sorry guys, been busy like h#//. Got lots done but work continues. 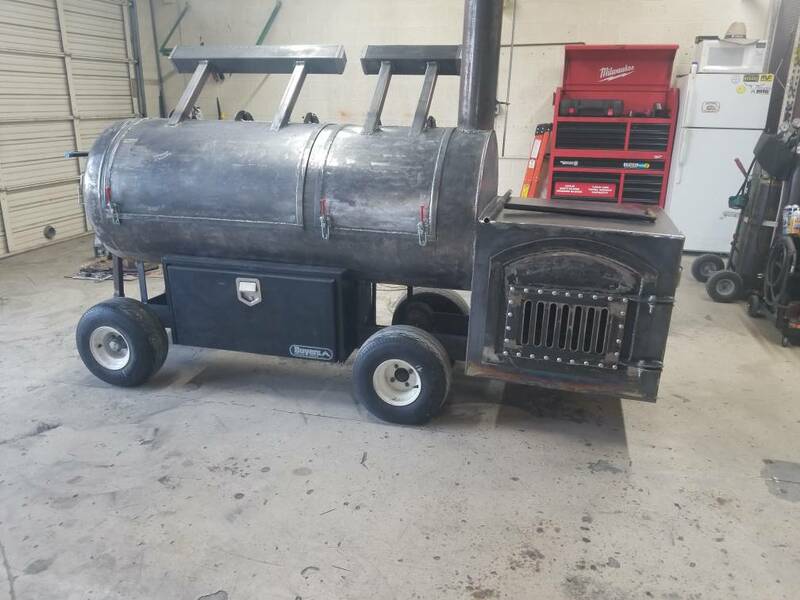 Looks good...that firebox sure looks heavy dangling off the end of the cart like that tho! Yeah FB is healthy.... was level on stands, loaded on tires front dropped 1/2" back went to 1". Dirtytires wrote: Looks good...that firebox sure looks heavy dangling off the end of the cart like that tho! Yup. Looks good. I'd be tempted to fabricate a trailer for that rig by this point. Good job bro! Especially the door.